End-to-end automation from expense report submission and approval to reimbursements. Employee records expenses and submits report for approval. 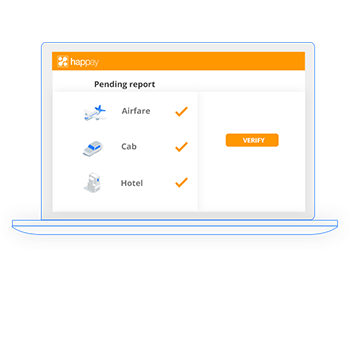 Happay eliminates all the inefficiencies and bottlenecks of manual expense reporting processes. Employees take a photo of the receipt with their smartphone and digitise it instantly. They can add expenses, create and submit reports from their app, in seconds. No more time-consuming spreadsheets. Finance teams can verify reports and reconcile data for accounting and audits without delays. They can process reimbursements to employee accounts directly from Happay. Managers are immediately notified of reports pending for approval, thus reducing process lifecycle and reimbursement time. Managers are also alerted of policy violations in reports and guided to take the right action. Via API integration, Happay seamlessly syncs data with accounting, ERP and HRMS systems that companies use and eliminates the double data entry finance teams typically have to do. 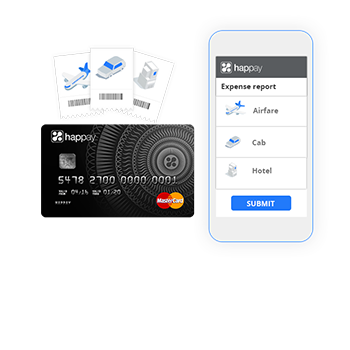 Happay enables employees to auto-extract expense data from Happay cards, from credit cards and statements, from Gmail via a Chrome plugin, from receipts via auto-can and from SMS feeds. Expense capture cannot get easier than this. If employee reports are pending at a particular approver beyond a specified time duration, admins can setup auto-approval/auto-rejection of reports thus reducing dependency and speeding up the process. 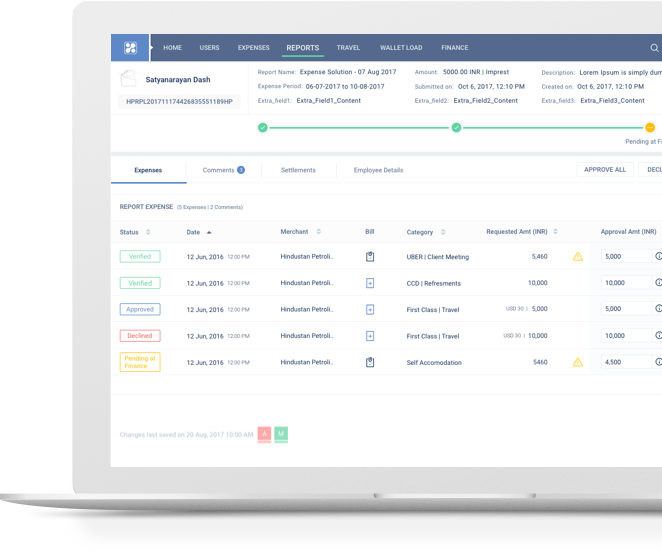 If employees delay submission of expense reports, admins can set up auto-creation and submission of reports with expenses that have no policy errors. For the rest, admins can set up reminders to notify employees of timely report submission. 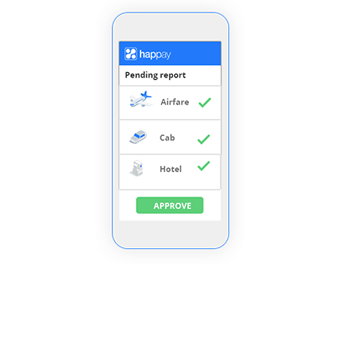 Companies can build policies within the Happay system. At the time of report submission, Happay auto-checks expenses against policies and notifies employees of possible violations. This ensures that reports submitted are accurate and error-free.